OAKLAND — Superior Court Judge Morris Jacobson on Friday scheduled the murder trial of Devaughndre Broussard, the only person charged in the 2007 killing of journalist Chauncey Bailey, to begin May 18. The judge also set April 10 for a hearing on a motion by Broussard’s lawyer, LeRue Grim, who is seeking information about detectives who prepared search warrants unrelated to the Bailey case for a raid on the now-defunct Your Black Muslim Bakery. During that Aug. 3, 2007, raid, Broussard allegedly threw a .12 gauge shotgun from the window of a bakery dormitory. Ballistics tests matched its firing pin to two spent cartridges found next to Bailey’s body. Broussard has been held without bail since his arrest. Grim also wants the disciplinary records of the lead detective in the Bailey case, Sgt. Derwin Longmire. Longmire is being investigated by the Oakland Police Department’s Internal Affairs Division and the state Justice Department for the handling of the Bailey investigation. 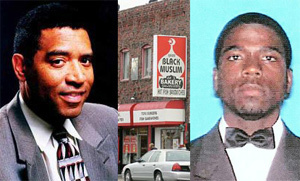 The Chauncey Bailey Project reported in October that Longmire didn’t document in his case notes evidence that pointed to a conspiracy to kill Bailey involving then-bakery leader Yusuf Bey IV. That evidence includes a report from a police tracking device on Bey IV’s car that shows it was parked outside Bailey’s apartment seven hours before the killing, as well as a secretly recorded police video on which Bey IV said he put the shotgun used to shoot Bailey in his bedroom closet after the shooting and said he drove by the scene immediately afterward. Bey IV remains uncharged in the Bailey case and is jailed without bail on unrelated kidnapping and torture charges for which he faces life imprisonment. Department policy requires detectives document all substantive evidence in their case notes, a chronological document listing developments by date and time. A lawyer for Longmire has said the veteran officer, who was transferred to patrol duties, did nothing wrong. Grim said Friday he wants documents related to the ongoing investigation of Longmire before the trial and that he didn’t know what would happen if the probe into the handling of the Bailey investigation is not finalized by the April 10 hearing. Lamiero said he was also unsure how an incomplete probe would be resolved or affect the May 18 trial date. The prosecutor expressed confidence in the case against Broussard, saying the fact that it is now scheduled for trial indicates the county has enough evidence to win a conviction. Bailey, 57, the editor of the Oakland Post, was walking to work the morning of Aug. 2, 2007, when a masked gunman killed him at 14th and Alice streets. Broussard, in a confession he has since recanted, told police the next day he killed Bailey to stop him from writing “bad things” about his now-defunct employer. Bailey had been working on a story about the bakery. It was never published. His killing was the most prominent slaying of a journalist in the United States since the 1976 car-bombing of Arizona Republic investigative reporter Don Bolles. Reach Thomas Peele at Tpeele@bayareanewsgroup.com.